Mentor Works’ team of Canadian Government Funding Planners™ help businesses improve performance through grants, loans, and other financial incentives. With over a decade of helping Canadian companies understand the government funding landscape, we know what it takes to be successful with government funding programs and use proven strategies to identify the most applicable programs to use for your upcoming strategic projects. Once we’ve worked with you to establish a unique Proactive Funding Plan™, we can help optimize the application and submission process. Understanding what government funding programs exist, and how to access them, is a key component of your business’ long-term financial success. Supporting business’ investment and growth plans by identifying funding to maximize ROI, either on an application-by-application basis or as part of a long-term relationship. Working directly with our team to improve funding outcomes and support communications throughout the application and follow-up process. Helping businesses identify the stakeholders to develop a project plan to ensure it will be successfully managed before, during, and after application submission. Working with Mentor Works will allow you to strategize and grow your business more effectively and efficiently. We help businesses across Canada grow by developing and deploying government funding strategies that improve your bottom line, competitiveness, and help you reach your goals. This is done through strategic planning, process optimization, and development of competitive government funding applications. Plan: We partner with your firm to understand your unique needs and work with you to develop the appropriate path forward. Whether it’s a brief review of available government funding programs, advising you about program updates, or checking in on a recurring basis to evaluate your business’ upcoming strategic projects, we’ll keep you well-informed. Build: Our team develops your unique government funding application(s) to speak directly to its strengths in relation to what the funding program looks for in applicants. Enable: Mentor Works optimizes the government funding process with time-saving information collection documents and other tools we’ve developed over years of success. Use our extensive knowledge base to better understand funding programs and never miss out on funding opportunities. 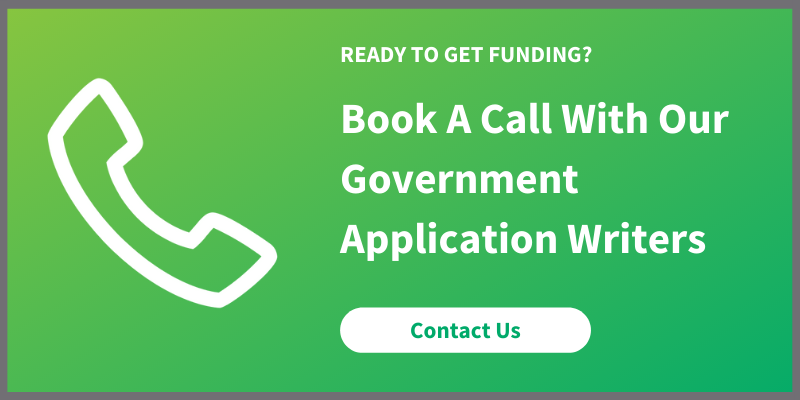 Contact our team today to discuss government funding consulting services. We’ll begin with a complimentary assessment to determine your needs and develop a custom solution. Posted: March 28, 2011. Updated: April 16, 2019.